Our mission is simple. We want to help surgeons be better prepared because better prepared surgeons save lives. When surgeons analyze their footage, like game film, they consider: how to be more efficient, different techniques to utilize and how to best interact with their team. Editing is a labor of love for us. 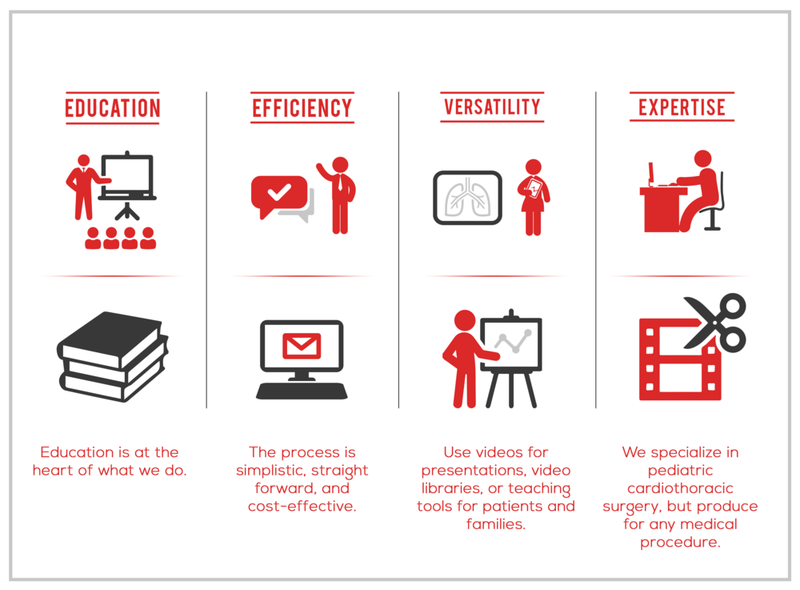 Most editors don't edit surgical videos because they don't know what to look for, but we are subject matter experts. Education is at the heart of what we do.